Do you enjoy plann ing color combinations, cutting with scissors or a rotary cutter, stitching straight lines, pressing finished blocks, or putting blocks together? If so, come to the parlor any Monday morning from 10am -Noon to get started. Inexperienced volunteers and curious learners are always welcome. Work can be done at home and returned on Mondays. 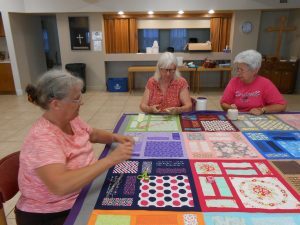 Come enjoy the fellowship while helping construct quilts for the Upbring New Life Children’s Center in Canyon Lake, TX. 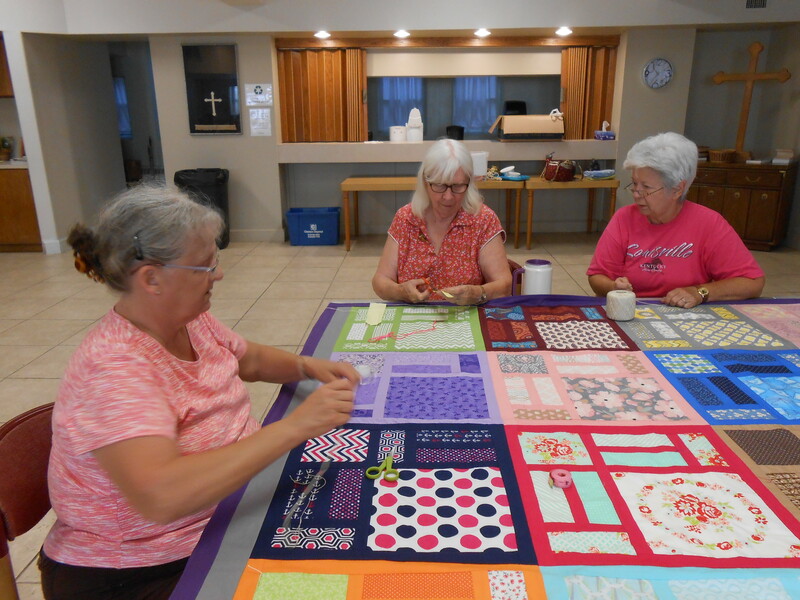 The Quilters recently received a Thrivent grant to purchase materials for the project, “Hearts and Hands On a Mission.” Please contact the church office with any questions.